(L to R) Nema Sherpa, Dorjee Sherpa and Phurba Tashi Sherpa, October 31, 2008 atop Ama Dablam. 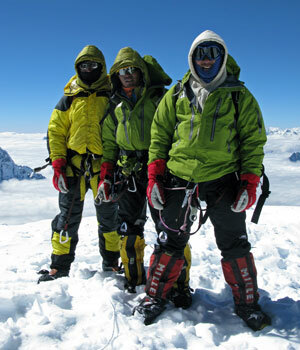 Six months later these three were also among the first to reach Everest’s summit. Just passing along some recent good news. On May 5th Phurba Tashi, Dorje, and Nema, along with two sherpa from IMG and British climber David Tait, summited Mount Everest. Their efforts fixing the route to the 29,035 foot summit marks the first summits of the year and thus officially opens the route for the season on the mountain’s south side. Their huge effort is deserving of congratulations, though historically last Tuesday’s summits have become something of the norm for them, as Phurba Tashi and his sherpa team have traditionally helped establish the route on the mountain’s north side. 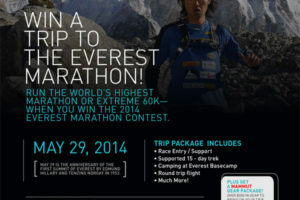 After last year’s decision by China to bar all north side expeditions expeditions via Tibet(due to fear of Tibet related protests during their hosting of the 2008 Summer Olympics) and with some continued uncertainty from Chinese authorities this year, they are now climbing out of Nepal, for Himalayan Experience, on Everest’s south side. 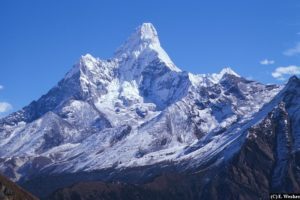 The news of Tuesday’s summits is reminiscent of October 31, 2008, when Phurba Tashi, Dorje and Nema, also opened the route up to the 22,500 foot summit of Ama Dablam. With them (or rather behind them) that morning, Dirk, Christy, myself and our friends from Vermont had the distinct honor of sharing the first summit day of the season with these humble sherpa on their local peak. 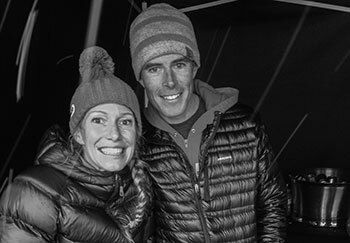 And in the weeks that followed, thanks to their efforts, many other climbers succeeded on what some earlier groups deemed to be an unclimbable mountain. I’ve always found it interesting to read about so-called “independent” groups of unguided climbers on popular peaks such as these, ragging on guided groups and what problems they create. Unfortunately, from what I’ve seen, it sometimes goes like this– they wait for the guided groups and their sherpa to get the route established even going so far as to shamelessly complain when it’s not prepared on their schedule, offering little or no help and even decline a request to contribute towards a “tip” that’s collected for those sherpa who put their lives on the line, and then proudly clip into the fixed rope once it’s set and take it to the top, later declaring greatness through claims of unsupported, unguided climbing or even solos. Who really deserves the credit for the hard work? So because those types won’t say it, I will– congratulations and good job! 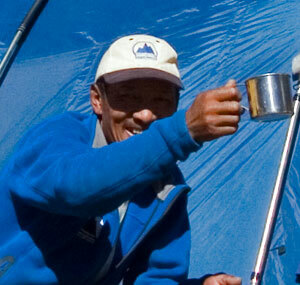 And cheers to Phurba Tashi for 14 summits!